Winter is here and the ski season has never been so great for snow. Being outdoor is great for our health and state of mind but it also comes with a challenge for your skin. The weather conditions can be one of the skin aging factor. The cold, wind or sun can accelerate the natural skin aging process. Sisley has been working with the very best that nature and science can offer to help you protect your skin and take good care of it. Here are our top 3 must-haves you need in your bathroom in order to enjoy the very best of your winter season. Preparing your skin to go outside your home, it is like dressing up. If it is cold you will choose a comfortable and warm pull-over and if it is hot you will prefer a light blouse or t-shirt. With your skin treatment it is the same. You should always adapt your day care based on the season and potentially on the skin problem you might be facing to. In order to prepare your skin, there are 2 main products to consider. A truly complete anti-aging product that acts on the visible signs associated with the 3 dimensions of aging.Sisleÿa L’Intégral Anti-Âge is a complete anti-aging product that takes into account genetic and environmental aging, as well as behavioral aging. The results are spectacular on wrinkles, firmness, radiance, density and hydration. A perfect product to help your skin enjoy the winter season. 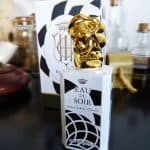 Sisleÿum For Men: All In One! A complete anti-aging product specifically designed for men’s skin. 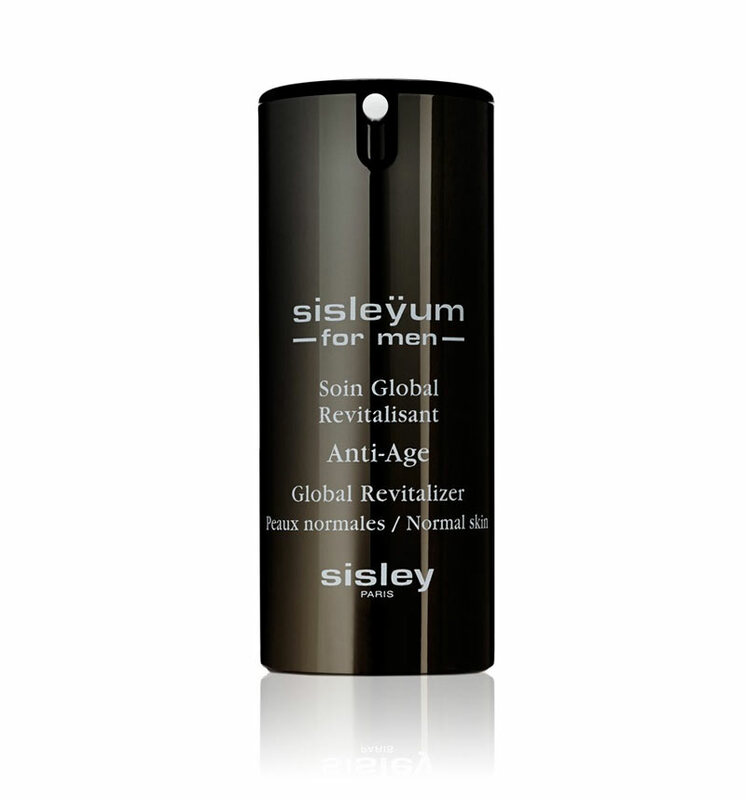 Sisleÿum is a global revitalizing anti-aging skin care product for men. Its formula has been designed to increase the skin’s resistance against daily harmful effects (shaving, cold, stress, pollution…). It has many different actions; it firms, corrects wrinkles, hydrates, fights razor burn and fatigue. If you have little time in the morning to take care of your skin, Sisleÿum is the best choice. Its complete formula will fit your skin and provide a great protection and comfort. Being a men and using this product almost everyday, we do experience a great formula, as comfortable as efficient and practical to use. Probably one of the best skincare for men currently in the market. If you are lucky enough to enjoy the winter season up in the mountains or just going to work, your skin can get seriously challenged. Cold, wind and even winter sun are sufficient to accelerate the aging process. 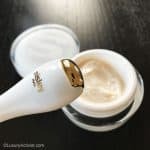 At the end of the day your skin lost elasticity and you increase your wrinkles depth. 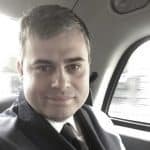 Here is probably one of the most clever sun-care product of the market. Ensures an ideal UVA-UVB protection for the sensitive areas of the face that require high protection. Easy to apply and carry around. 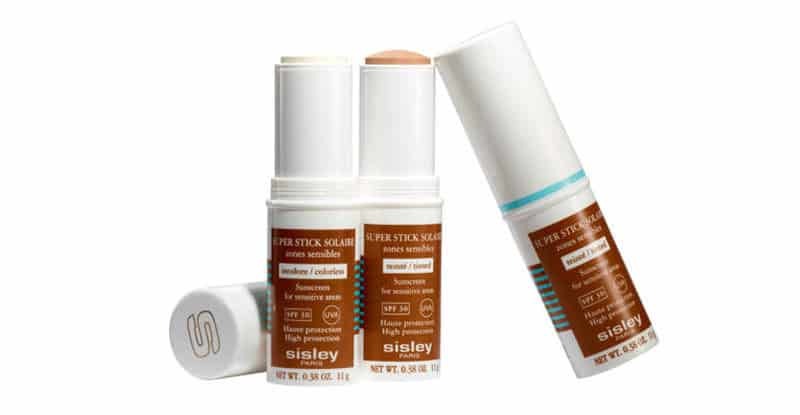 The high-protection Super Stick Solaire SPF 30 is a stick that has been formulated for the sensitive areas of the face. Its ideally proportioned UVA-UVB filtering complex provides optimized sun protection. Micronized mineral screens have been specifically selected to provide protection that is appropriate for the sensitive areas of the face. The stick applicator is easy to use, no matter the situation you might be and provide with a precise gesture. Nothing more enjoyable than being back to a cosy home by the fireplace after a great day outdoor. You feel energized and enjoy this cheerful moment being back home, relaxed and ready to start your evening. You have probably challenged your skin with cold, wind and sun exposure. Hopefully you were well prepared but sometimes it is not enough, depending on how extreme were the weather conditions. in order to soften your skin and be fully relaxed to enjoy your evening here are two amazing products from Sisley you desperate need. 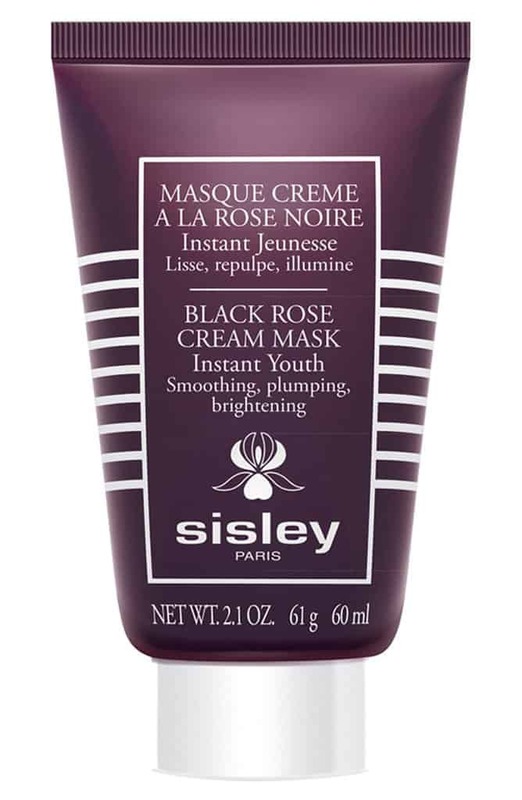 Black Rose Cream Mask, simply delicious. A cream mask that has been specifically formulated to instantly provide the skin with a youthful and energized look. 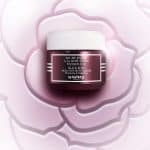 The Black Rose Cream Mask offers the skin “instant youth”. Rich in active anti-aging ingredients (Black Rose, Padina pavonica, and Alkekengi calyx extracts), it immediately gets to work on signs of fatigue and leaves the skin looking youthful and energized. After a long day, allow to your skin a break and treat it well. With this mask, your skin will retrieve the very best of it and you will get back that baby face you use to have. Limited Edition with massage tool to perfectly prepare the skin before application of the skin care product. It is a complete anti-aging skin care – eyes and lips. 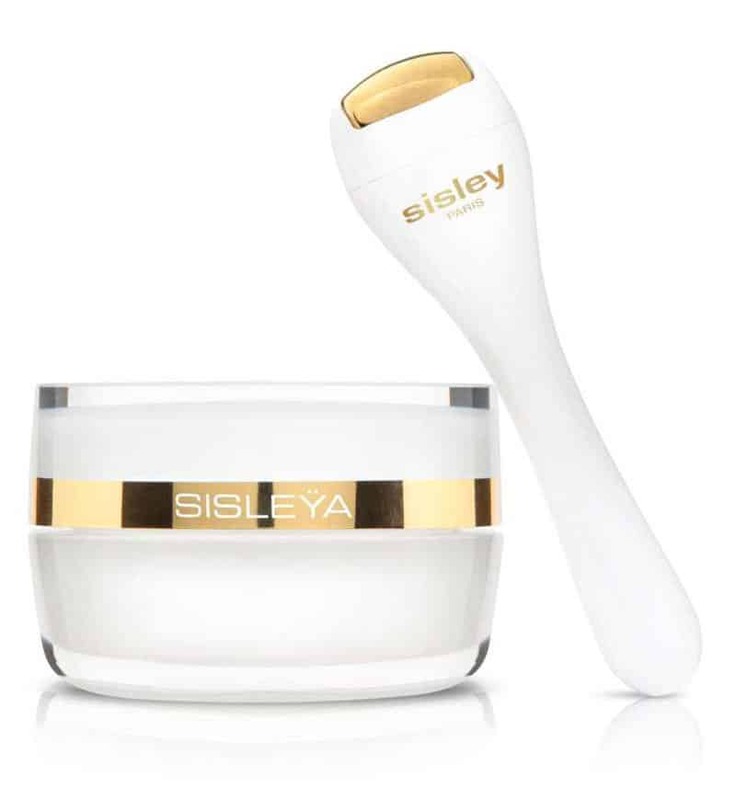 Sisley provides a truly complete solution by fighting against the visible signs associated with the 3 types of aging: genetic and environmental aging, but also, now, those linked to personal lifestyle. In this version, the applicator for the eyes contour is a full stress-relieve that will unite a very elegant gesture to a very efficient one. Try to place the applicator in the refrigerator for a few minutes and apply it with the cream, you will feel a fantastic experience. Sisley crafts its formulas with dedication and always with a great sense of authenticity, quality, innovation and good sense. All formulas are true little wonders, real concentration of essential elements for your skin. This season, treat yourself with the best and offer your skin a rest from all your daily outdoor adventures.